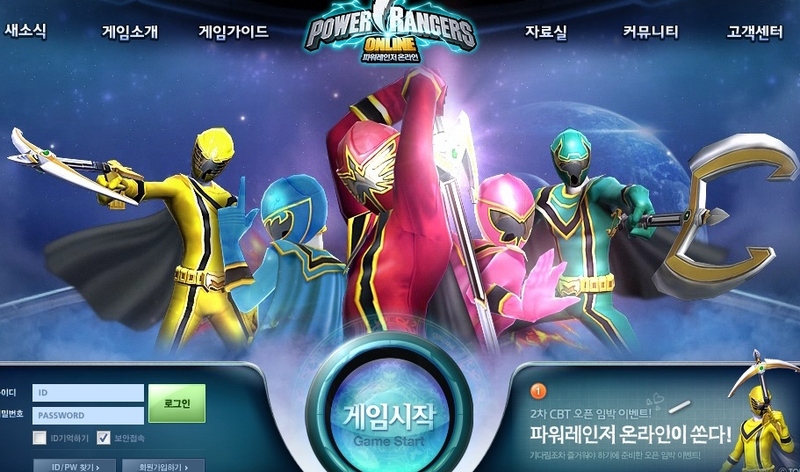 A Power Rangers Online exists in Korea, which is about to enter its second closed beta testing phase from March 29 to April 4. Somebody thought it would be brilliant to lure students to test their game with the promise of pizza; the top 10 school classes with the most applications for the beta test will each win 10 large pizzas and a Cola delivered to their classroom. The winning number of applications depends on one student telling his friends to register to play Power Rangers Online, and those friends tell their friends, and the snowball rolls on. There is a leaderboard on the main site, which names the top 10 schools, the class number, the class's grade level, and how many have applied. While there is still ample time for students to apply, the leaderboard suggests that 10 pizzas isn't quite enough to cover the emotional cost of letting your classmates and friends know you're into Power Rangers. Even elementary school students have their pride to consider. Right now, the top applicant has four applicants each. When I was in primary school, I never watched television much; the only TV I saw in the early 90's were Batman: The Animated Series and Mighty Morphin Power Rangers. I owned a Green Ranger action figure because Tommy was the best ranger. To this day, I don't find it strange at all that the show had a black guy and an Asian girl play the black and yellow rangers respectively, because I didn't think it was weird when I watched the show as a kid. Power Rangers was so fun to watch. And the best part of the show was when the Zords combined.